Understanding a budget, even a $5 billion budget like the County’s, should be as easy as pie — or a pie chart, bar graph, movable line graph or explanatory video. And now it will be! 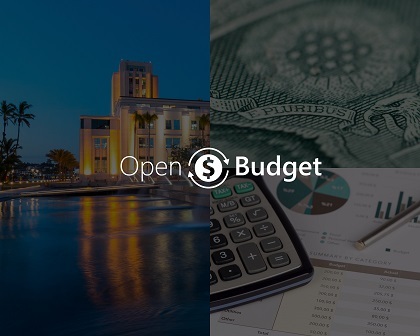 Today, the County’s Office of Financial Planning is rolling out a new online application, “Open Budget,” and a Learning Management System tutorial to explain how it works. The idea is simple and empowering. Open Budget lets people turn thousands of pages of numbers and text into simple and immediately understandable visuals — like charts and graphs — just by clicking a button. And not just for one budget. Open Budget contains all the information for four fiscal years. People can manipulate all that data to compare it, without ever having to scroll or leaf back and forth through those documents. It makes our budget — what some people thought of as solely the domain of number-crunchers — usable, clickable and sortable. Say you want to look at your department’s revenue, or expenses, or staffing for a year, or over four years. Or you want to compare that to another department. Or you want to “drill down” that information for all the departments in your Group. Or compare groups; or even break that information down for individual programs! Just picture that! Well, now you can — literally — with a click. But Open Budget is more than just pictures. The application’s About section includes explanatory text and videos that explain what the County does, the differences between the public sector and private sector, how the County’s budget process works and how we manage debt. It also allows you to access the County’s website, department websites and download information to create spreadsheets. The goal of Open Budget, like its concept, is simple: increasefinancial literacy and promote civic engagement by making it easy for everyone to access and use County budgets. Ultimately, Open Budget will be made available to the public as well. But we, as County employees, are getting a first look! So open it up. Take that LMS training. You’ll see our budget in a whole new way!